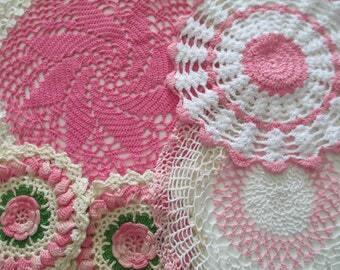 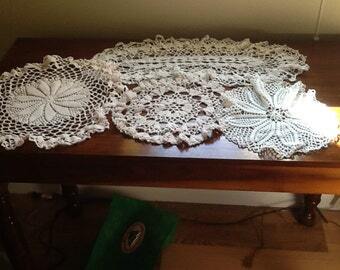 Create your own table runner with smaller crocheted doilies. 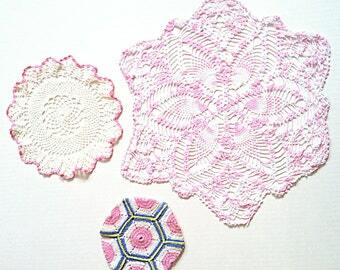 Find that perfect selection and join them together with a simple stitch here and there. 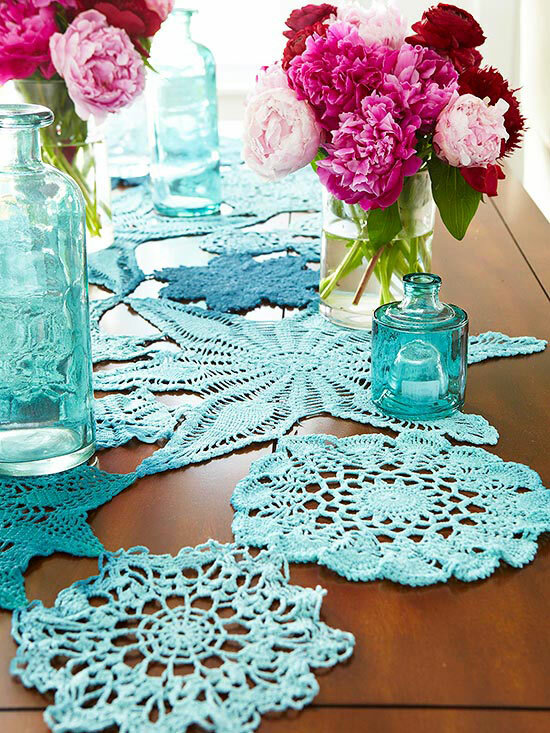 If you want to achieve the look of the first picture, they took 5 different shades of blue and hand painted the doilies to get an ombre effect between each one.